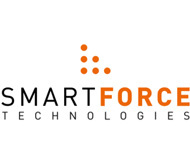 Smart Force Technologies is a French company which develops micro and nano fabrication tools. We will present Smart Print, our mask-less lithography tool dedicated to rapid prototyping. Based on a beamer technology, Smart Print allows to move from the design to the fabrication of microfluidic devices without using any hard-mask. Provided with an interchangeable lens system, Smart Print achieves micrometer resolution. Moreover, its projection technology is perfectly adapted to fabricate microstructures on non-standard substrates (non-planar, flexible …). Finally, the illumination system coupled to a motorized stage allows alignment on different levels.